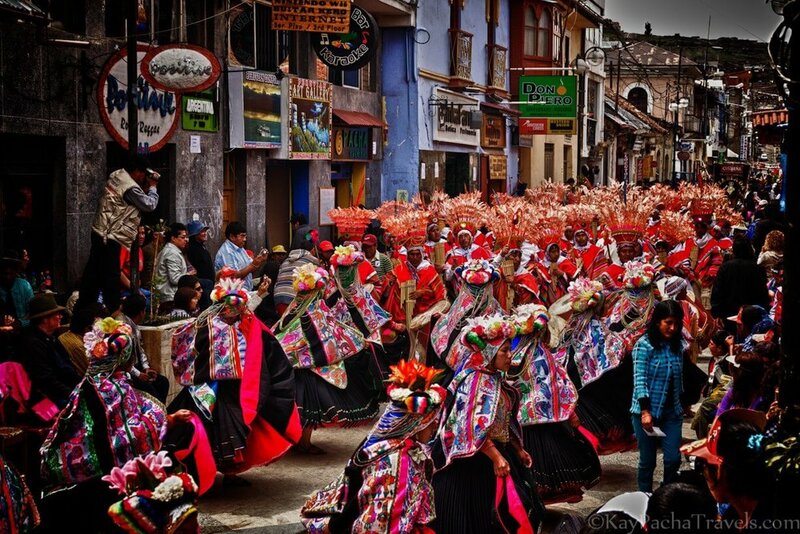 The Candelaria in Puno is the Main Festival for the whole region. The festival attracts thousands of people that travel great distance to enjoy the dances, music, parades and fireworks that last several days. This journey also takes you to the Lake Titicaca islands – Uros, Amantani and Taquile. Lake Titicaca offers a different side of Peru with higher altitudes and colder temperatures. However, the warmth and hospitality of the local people remind you of the importance of sharing and reciprocity - words that rule their everyday lives. Today you arrive in Puno and receive a transfer from Juliaca airport or the bus station to your hotel in Puno. In the early hours of the morning, a mass is held in the main square. 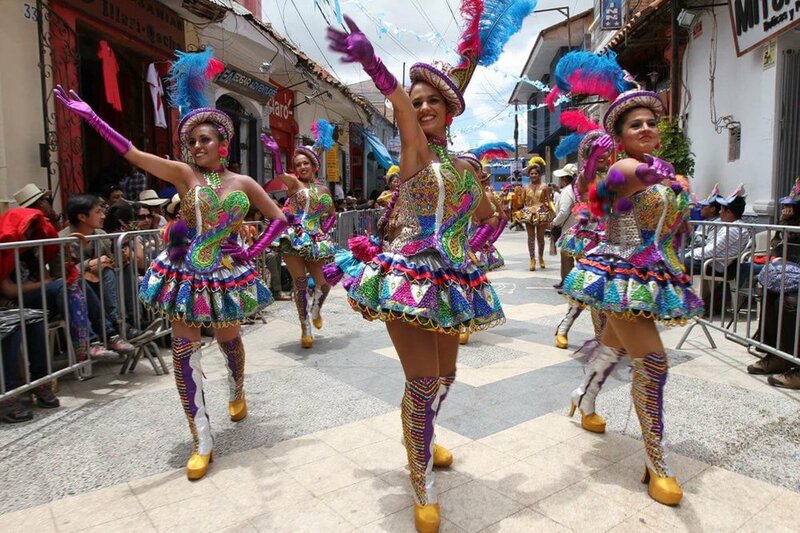 After the meeting of “comparsas” (a group of dancers) at 2:00 PM, the Procession of the Blessed Virgin of Candelaria begins. The Main Festival follows this parade of dancers throughout the downtown, with fireworks and music lasting all day long. It is very easy to follow the endless groups of dancers, and take every opportunity to join in the dancing as well! At night, we have a welcome dinner in one of the fine restaurants near the main square. An early start is necessary to reach the Puno docks for our boat tour on Lake Titicaca. 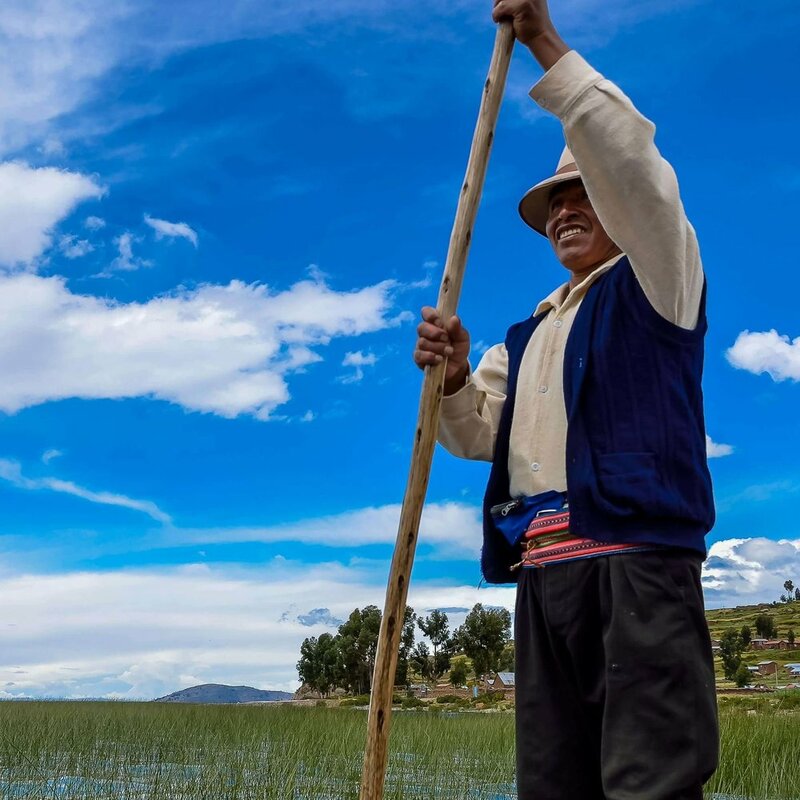 Our navigation starts towards the Uros, the legendary floating islands, where you stop and visit the local people to experience their way of life. Lake Titicaca is an inner sea, 110-mile-long by an average of 49-mile wide. It has many islands and some of them are populated. Our next stop is Amantani Island. Arriving before lunch, you disembark and your family hosts walk you to their homes. The coop system distributes visitors among the families so every couple, or small party of people, are in different houses. In the local’s homes you enjoy breakfast, lunch, and dinner. Later, we all meet up before sunset for dances and a walk. At 7:30 AM you take a boat to visit Taquile island, where a small community of around 400 families lives. This community has developed a cooperative way to share in the tourism thanks to the accommodations and restaurants around, as well as their local crafts and traditional costumes. After lunch, you head back to the pier and embark in your boat for your journey back to Puno. You arrive by late afternoon, and dinner is on your own. We follow the parades and dancers for another day today. After the Regional Dance Competition with traditional and native costumes, there is a stop for the dancers along the main streets of the city center. The image of “Mamita Candelaria” is accompanied by the faithful and folk groups that participate in the contest. Today marks the beginning a very busy week in Puno. You head back to Lima today after breakfast at your hotel. You are transferred to Juliaca airport, located 45 km north of Puno. Departing from Puno at 7AM, you have time to stop and visit the Sillustani archaeological site, located 40 minutes from Puno. Sillustani is a pre-Incan site that consists of a group of huge cylindrical tombs. The towers of Sillustani are the most impressive of the burial towers constructed by the Colla people. They are distinctive because the Colla used brick-like rectangular edges, in contrast with the Inca who used stones of different shapes. Professional, English speaking guide, from Puno to the Taquile Tour.